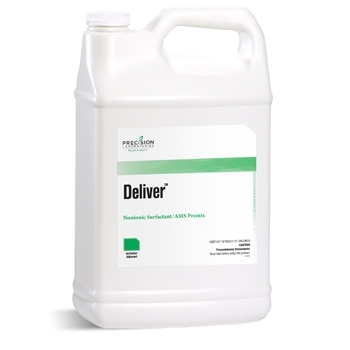 Surfactant plus ammonium sulfate system that delivers more consistent control of a wider range of hard-to-control weed species. 2.5 gal/100 gal spray solution equals 8.5 lbs of ammonium sulfate. No additional surfactant or defoamer needed.